Since VR has become more popular, the industry has created characters, storylines, and interactive worlds that allow virtual reality users to take on roles and interact with games and goals presented to them. Playing games as another character or inside a virtual world that defies our reality’s constraints can help put us in the literal shoes of another person physically and emotionally, and it can even push us to take on the actions of a fitter and more athletic version of ourselves. If you’re familiar with the saying fake it till you make it, then virtual embodiment is a concept that will come easily to you. When you put on a VR headset and play a game in the first person or your every day you being you perspective, immersion through character embodiment gets heightened. Being in this first-person role as an avatar or character helps individuals feel more in control of themselves or less so, depending on each game’s motives. Being in the first person character role, whether it be as a tiny mouse in a vast world, a building-sized monster, or as an individual player that’s part of a combat team, will influence you to interact within VR as that character. We’ve seen embodiment when we played as Adonis Creed in Creed: Rise to Glory, where our training time with Rocky and virtual boxing gloves helped us feel stronger and more empowered as a boxer. If we want to get out of the ring and onto smashing things, we take off the gloves and take on a role with claws! Playing as Cthulu Carl or other famous monsters in Mighty Monster Mayhem puts us in their perspective and it’s our job to take on their goals of destruction and mayhem. In other words, some things we can’t do in the real world without being put behind bars. VR users have even started customizing their own avatars in VR Chat, turning embodiment on its head with social VR experiences and communities. Become large or small, be a soft cuddly creature, a large crazy looking monster or a computer with arms, become whoever you can create. The great thing about VR Chat is that users can create worlds of their choosing that other players can join in on and become their alias or avatar selves while making friends virtually. There are dance clubs, parties, improv groups, and it even has a Zelda or Seinfeld room that people can meet up in. Sight, sound, and touch are the 3 main senses that get hacked when playing games or exercising in VR as an embodied character. Your eyes get covered by the peripheral, you pick a game and you see the apocalyptic wasteland that is Fallout 4 VR. Using your controllers to scavenge, pick up supplies and to use your weapons, you hear gunshots going off behind you and get startled. Your only option is to shoot back or run. You shoot, survive, and then go off to your next objective. The senses that were firing off during the VR game you were playing sent your brain signals that would trigger your adrenaline and heighten a response. Congrats, you’ve embodied a character being attacked and were tricked into reacting (achievement unlocked)! It happens to everyone, and that’s both the point and power of embodiment. Games worth playing have timed sound and action effects that mirror our character’s emotional and physical struggles or successes. If the player’s 3 major senses aren’t buying what they’re surrounded by in VR, the embodiment will go out the door and user enjoyment will too. For more info on research studies and theories behind embodiment check out Voices of VR podcast #555! As VR gamers, we use controllers to “touch” and interact with environments and games. With haptic gloves like HaptX still being fleshed out, we rely on our controllers to essentially take the place of our hands, tools, and weapons. Think of the weapons in any of the Serious Sam games — they’re huge and powerful, but the reality is that the handheld controllers and triggers are your weapons. Even if they’re a bit clunky and less immersive than haptic gloves, controllers are still effective in keeping the immersion believable when you’re caught up in the moment and have waves of uggo monsters coming at you from all directions. Black Box VR does a great job of taking the player’s imagination and senses for a ride when they turn their member’s bodies into a controller with their VR cable resistance machine. Players strap in and then pull and push the cables with their body strength to interact inside a virtual arena where they punch, attack and take on beasts and other baddies as a superhero. Embodying the exciting role and strength of a superhero with a fitness experience like Black Box VR not only influences the mind to react faster but it motivates the body to exercise harder and for longer periods. Having sight, sound, and touch senses heightened in VR is of utmost importance to the embodiment. Users frequently share that the one thing that takes them out of full immersion in virtual reality isn’t the lack of haptics, it’s the lack of actual movement. Sure, we have room scale tracking, but not everyone has a large enough space or a dedicated gaming room in their home to walk or run around freely in. And sure, we have teleportation and smooth movement, but it’s not the same as walking or running unhindered. Embodiment aims to get as close to reality or the constructed reality as possible. Using omnidirectional treadmills (ODTs) in a home or business to do this would leave room scale and teleportation in the dust. 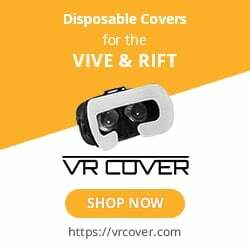 ODTs like KAT VR have platforms that are concave and come with a slick plate for players to walk on top of to move about in virtual reality games like PAYDAY 2 VR and Skyrim VR. The current generation of ODTs ranges from a mini consumer friendly size to a warehouse or large scale experience platform. Once they’re available for purchase and have more games that are compatible with them, these ODTs will morph you into virtual worlds and into characters bodies like never before. In our daydreaming or everyday thoughts, we might sit and wonder what it’s like to be someone else or how it would feel to experience what it’s like to be a virtual hero or villain. If you don’t have a VR headset, trying a demo with a friend would tie the idea of embodiment together in a personal way. Trust us, you’ll be amazed at who you can become even in a demo! If you already have VR, think about how many different mental lenses VR creators, studios, and developers had to look through in order to create hours of gameplay and believable characters, environments, and storylines. So much thought and planning go into it all! An essential idea stands behind embodiment, it’s the drive to experience a reality outside of ourselves while remaining who we are. What a wonderful time to be alive when we can put a headset on and become someone else with powers and abilities that we don’t possess or can’t easily do in reality. Bodies in VR are what we choose them to be, can turn you into Superman or Wonder Woman, or even a little mouse. What or who will you be embodying in your next round of VR? Let us know down in the comments!